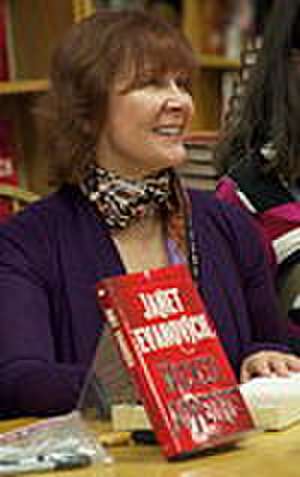 Janet Evanovich (born Janet Schneider; April 22, 1943) is an American writer. She began her career writing short contemporary romance novels under the pen name Steffie Hall, but gained fame authoring a series of contemporary mysteries featuring Stephanie Plum, a former lingerie buyer from Trenton, New Jersey, who becomes a bounty hunter to make ends meet after losing her job. The novels in this series have been on The New York Times, USA Today, Wall Street Journal and Amazon bestseller lists. Evanovich has had her last seventeen Plums debut at #1 on the NY Times Best Sellers list and eleven of them have hit #1 on USA Today Best-Selling Books list. She has over two hundred million books in print worldwide and is translated into over 40 languages. Janet Evanovich's Full, nr. NO. Traducere de Mechtild Sandberg-Ciletti et al. Traducere de Thomas Stegers et al. Traducere de Regina Rawlinson et al.